Find Jewish Candle, Jewish Tin Candle, Jewish Glass Candle on Industry Directory, Reliable Manufacturer/Supplier/Factory from China. Shabbos candles is for church activities, this candle is interested by Middle East and Africa and Israel and France. People will lit it in all the day time. There are many colors you could choose, welcome to place orders to us. These candles are without smoke or smell, the quality is good and the price is reasonable. There are 72pcs per inner box and 8 inner boxes per carton. Welcome to place your own brand order. Packing way according to the customer. Contact us if you need more details on Jewish Tin Candles. 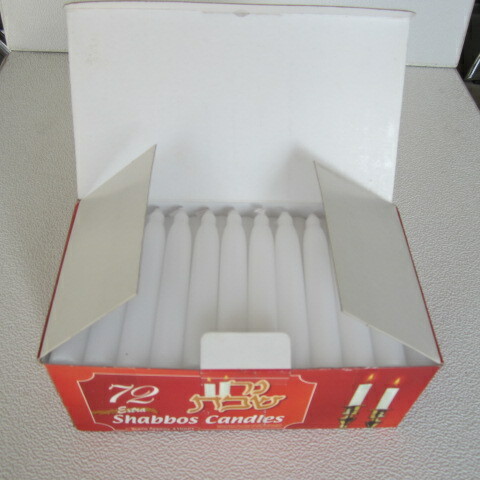 We are ready to answer your questions on packaging, logistics, certification or any other aspects about Shabbos White Candles、Religion White Candle in Church. If these products fail to match your need, please contact us and we would like to provide relevant information.